Dry Shampoo is a girls friend! 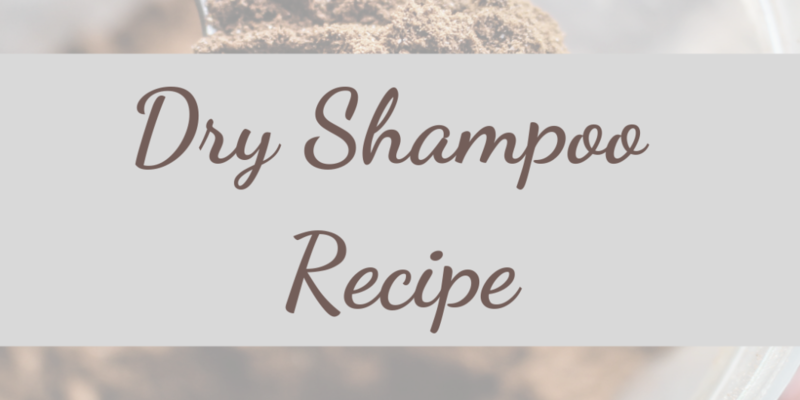 Some of our clients have been asking for healthy alternatives to dry shampoos on the market! These are tried and true! 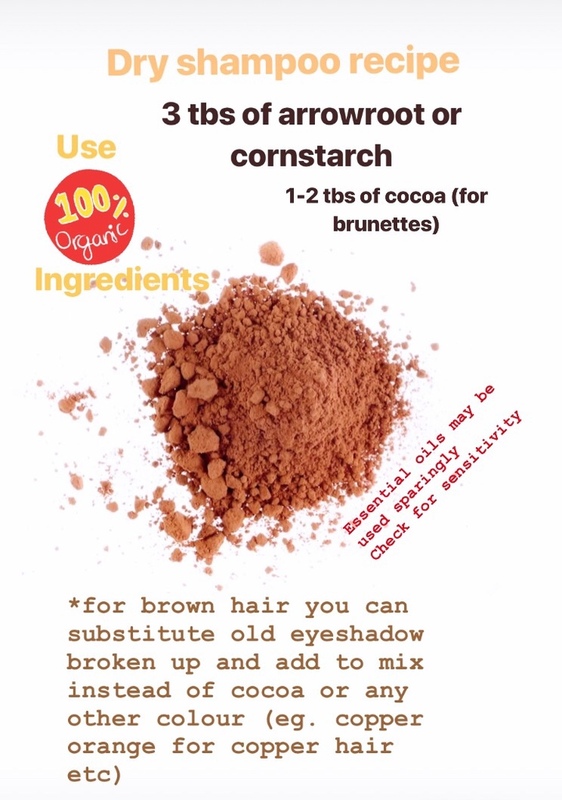 *Apply with powder or blush brush and keep in a sealed container for later! Please make sure you’re not sensitive to any of the ingredients listed. I encourage organic ingredients to avoid the kinds of chemicals found in some of the dry shampoos. Essential oils used sparingly are healthy. Check first to see which is right for you! Going without is fine. Or personalize with your favourite oil blend. Cocoa is only used for brunettes. Dark eyeshadow or different hues may be used for different shades of colour. This is just a few healthier options. There are some really amazing professional dry shampoos on the market. With excellent reputations! Other recipes may be found in do it yourself books, Pinterest and health stores! Ok so winter might not be completely over… but spring is finally almost here. And what better way to get through the February / winter blues than a trip to the salon? After all, you deserve to feel great! If you really want to get past that winter funk, why not try a new style, something different than your usual? Instead of just your usual trim, you could try a completely different style. Perhaps you might want to go shorter for easier hair care, and a complete transformation. Or, perhaps you’d like to keep it close, but just a little different – and that’s ok! Not that daring? Why not simply try one of the latest styling trends, without a major cut? If your hair is long, you could try a twisted ponytail, or a sleek modern chignon. If your hair is straight, why not try bouncy waves? If your hair is curly, why not try a straight style? Or you could try one of many different upsweeps for a special, glamourous night out. While many of these styles are fairly quick and easy, make an appointment with Solace on the day of your special event, and we’ll help you achieve the look you want.